Robin Pugh, Real Estate Director at Orega, explains how the firm offers a practical way to include serviced offices within an existing portfolio. The serviced office model isn’t just for small and medium sized businesses as is now seen as mainstream, corporates are also tapping into the benefits of flexible and serviced arrangements. So, what are these corporate occupiers looking for? Specialising in providing flexible space for larger-than-average occupiers on longer terms, Orega operates in a very different way to other serviced office providers in the market. Robin Pugh, Real Estate Director at Orega, gives us an insight into his company’s unique business model. There’s the possibility of essentially placing the entire project into the hands of a specialist operator (usually by way of a shell lease arrangement). At the outset, this typically involves putting parent company guarantees and large deposits in place; something that by no means all landlords are willing or able to do. In theory, there’s also the possibility of a landlord building their own serviced offering from scratch such as Storey from British Land. This is achievable if you’re well-resourced, have a background in formulating products around this form of occupancy and willing to take a certain level of risk. Robin tells us that this is where Orega steps in - by offering landlords a “third way”; a practical route to including serviced offerings within their portfolios. It’s essentially a co-investment model: “The landlord brings the real estate to the table, and we fund much of the capex – and bring on board the resources needed to create a best-inclass business centre. ” With over 17 years of experience in this market: “We manage the space for our landlord partners, and typically, we will deliver rental income above the market rate”. When describing office accommodation, that term, ‘corporate’ is too often used in an almost derogatory way (“a little too corporate” denoting an absence of character, for instance). But far from being drab or anonymous, the business centres that form the Orega portfolio represent ‘corporate’ at its best. These are sites that are fully geared to meet the needs of global companies - and an environment in which those companies’ employees can flourish. Stand-out examples include Birmingham’s Colmore Building; a 14-storey, newly refurbished glass structure in which Orega has established itself across the impressive mezzanine floor. And then there’s the Silver Fin in Aberdeen, which has just picked up the Corporate Workplace prize at this year’s British Council for Offices Awards - and where Orega occupies two of nine levels. 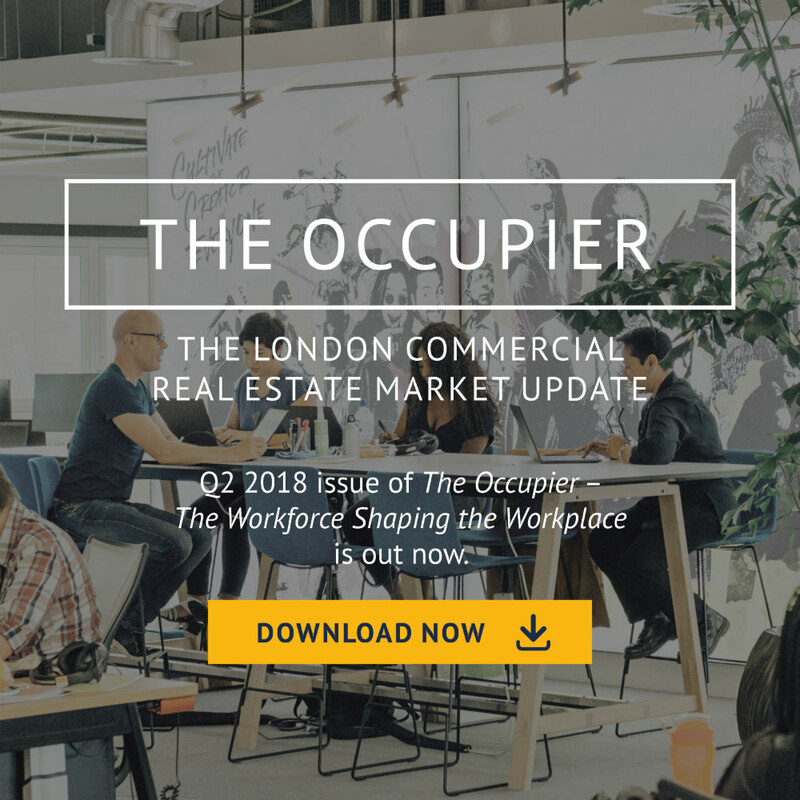 As Robin explains, “our occupiers are larger compared to the serviced sector average, and they stay in situ for longer, too”. We work with a number of big names in the banking, energy and technology sectors. When serviced space is discussed in the industry press or promotional material, it’s very often in the same breath as co-working spaces; the type of extremely open, design-led setup where the emphasis is on collaboration. As Robin rightly points out,“Co-working is something we all do to a greater or lesser extent”. But does Orega position itself as a co-working space provider? “Not really” says Robin. “ Although we are developing our own product to include larger and more sophisticated common areas designed to provide a platform for collaborative working and events. This will be evident in our soon to be open London, Gracechurch St location and our expansion in The Colmore Building, Birmingham”. Corporates are looking for the flexibility of an office-as-a-service solution. And yes, they’re looking for superb staff facilities along with the blue-chip essentials such as state of the art IT, telecoms and impressive business lounges. But as for what Robin describes as the “communal elements” that often accompany the co-working market: Orega leaves this to other providers. If a facilities manager of a big corporate holds the preconceived notion that serviced office space is all ping pong tables, quirky sofas and a disparate succession of organisations moving in and out of the building then it’s highly unlikely that serviced office space will not be a serious consideration. It hadn’t been on their radar before - or they had dismissed the concept as ‘not for the likes of us’. It’s when they see the business centre, and realise the potential benefits it could offer the organisation in terms of flexibility, that they start to give it serious thought. New accounting standards (IFRS 16), due to come into force in 2019, could see a further boost in demand for flexible workspaces in the corporate sphere. Broadly, the new rules require companies to capitalise leasehold liabilities on their balance sheets. Exceptions for shorter-term licenses and leases are likely to mean that many facilities managers, spurred on by their accounts departments, will look at serviced accommodation with renewed interest. More broadly, Robin thinks that we’ll see a divergence in the future: “We consider it likely that larger corporate HQs will be purchased rather than leased. But beyond this, we’ll see an increase in the level of serviced and flexible space”. Above all, gone are the days when global players simply wouldn’t have serviced accommodation on their radar. “Landlords have the ability to tap into an attractive section of the market – and to maximise revenue. Corporates get the twin benefits of flexibility and world-class facilities. Beyond this, through sub-letting, they get the opportunity to make their leased assets work better for them. It’s a win-win situation for everyone”.